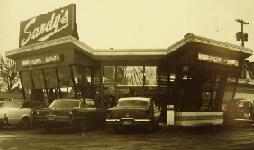 Sandy's on Harrison Street, Davenport, Iowa, was located in one of the busiest neighborhoods in the state of Iowa. Not only was the location imbedded in the heart of the residential district, it was also on Harrison street which is one of the main arteries out of downtown Davenport. 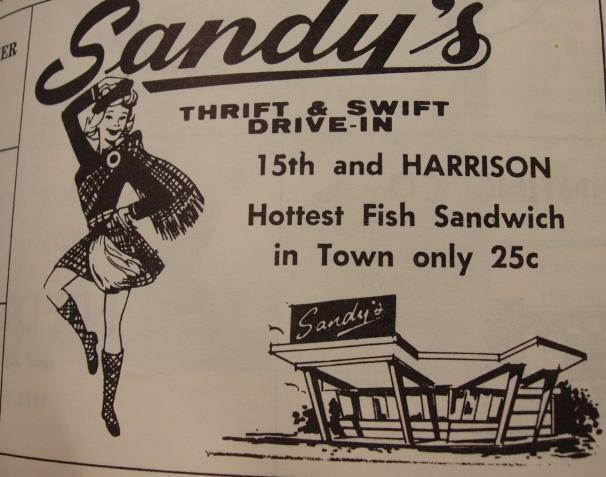 Today, Harrison is a one-way but at the time Sandy's was located there, it was heavy two-way traffic in and out of the city. Sandy's not only enjoyed the traffic in this area, but it also had an advantage with both Palmer School of Chiropractic (one of the top chiropractic schools in the world and St. Ambrose Univeristy students frequenting the restaurant. Sadly, all that remains today is a vacant lot. 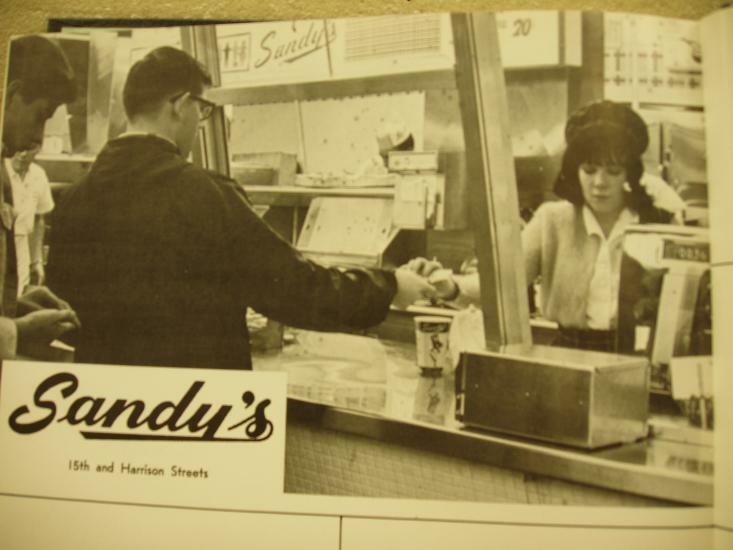 Click here to view Sandy's on Harrison Street's Opening day ad. This ad appeared in the Quad City Times on June 3rd, 1962. Milkshakes 20¢! Three flavors to choose from! 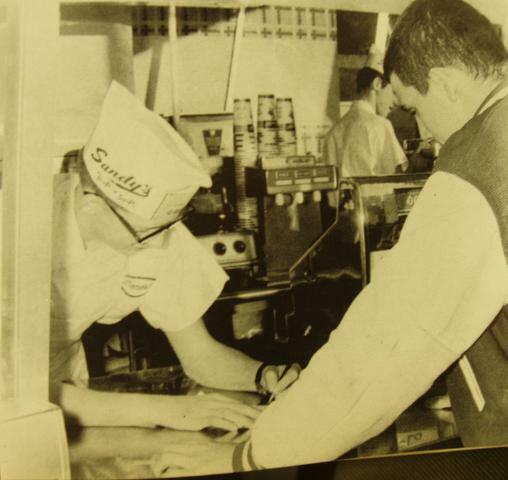 Note the carrier holding the Sandy's bag and Coca Cola. It is even imprinted with the Sandy's name. No expense spared...unheard of in this cost cutting age. 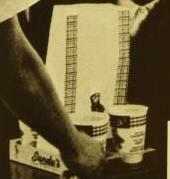 Until the 1980s, if you had two or more pops, you always received a tray carrier with every order at every fast food restaurant. Today consider yourself lucky if you receive a straw. The readerboard reads "forest fires can prevent bears". Sandy's or no Sandy's, this is certainly the worst readerboard message of all time. Perhaps the manager who came up with this one was fired the next day. 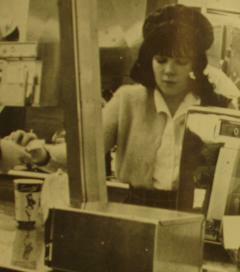 Soft drinks 10¢, 15¢. Coca Cola, Orange, Root Beer. 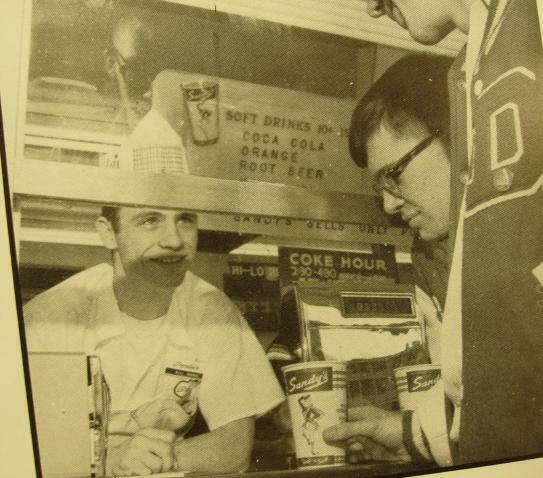 Sign reads "coke hour 2:30 - 4:30". Further back the sign reads "Hi-Lo 29¢". 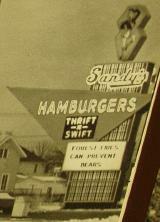 The Hi-Lo was Sandy's double decker burger. Three pop dispensers on the machine... most likely Coca Cola, Orange and Root Beer! No diet Coke here folks! This picture is from a Davenport yearbook. It is a collage of local businesses who supported the yearbook with donations. Sandy's was always more than generous with donations to the local schools so they received a prominent place in the middle of the display. 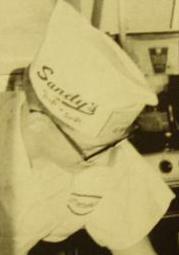 This is a slice of the actual full page picture and is represented here to show the color at night time of the Sandy's marque.